If you live round here, you’ll know about the Plateau de Sault. It’s where the potatoes come from. 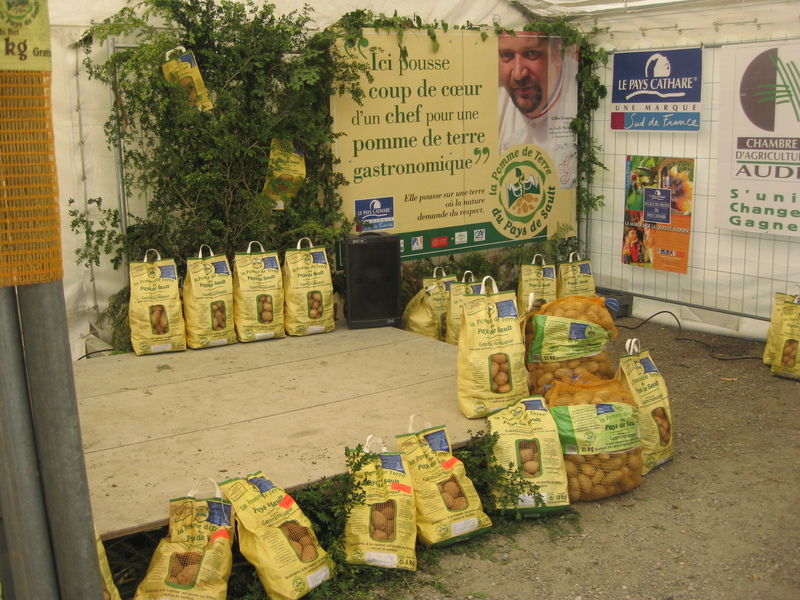 Plateau de Sault potatoes. Plenty more where they came from. They’re very proud of their potatoes. 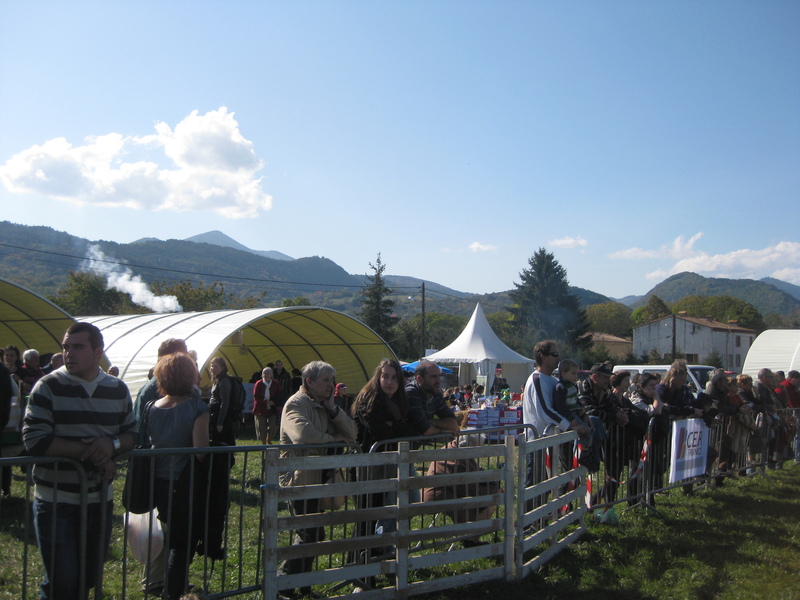 They’re also proud of their country fair, la Foire Départementale de l’Elevage, held at Espezel. Though this fair, held in October each year, is less about potatoes, and more about animals, as the name suggests. Working horses, bulls with a reputation, Jack-of-all-trades Tarascon sheep, sheepdogs, pigs, rabbits and chickens were all there, together with state of the art tractors and farm machinery. There were food stalls, clothing stalls, catch-penny stalls: plenty to keep us busy. 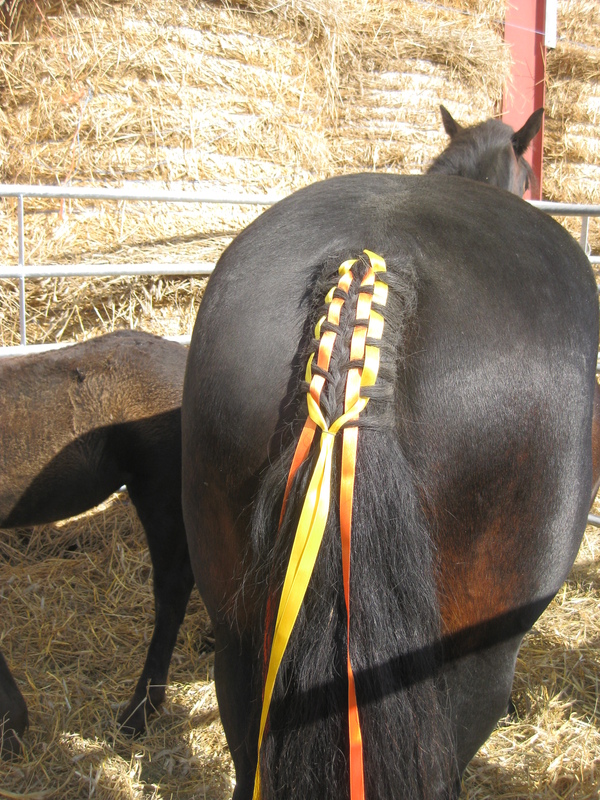 Gill and David, our guests from England, who are County Fair Connoisseurs and stalwarts of shows all over Yorkshire, spent their time eyeing up horses – particularly the heavy, working Castillon horses, while we enjoyed the working sheepdogs. 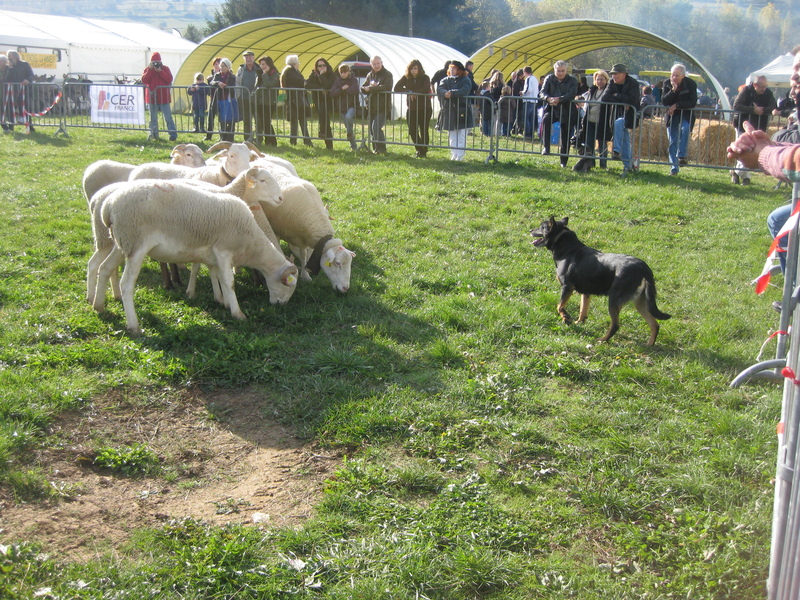 As in England, most sheepdogs are border collies, but some are Australian sheepdogs, crossed with dingos. They might look fierce – the sheep certainly think so – but they’re gentle and tractable, and do the business. Oh, and on the way there, we had a piece of luck. We got held up, and it was a traffic jam we really didn’t mind. On the road to L’Aiguillon, a slow moving car with a sign reading ‘Transhumance’ flagged us down. 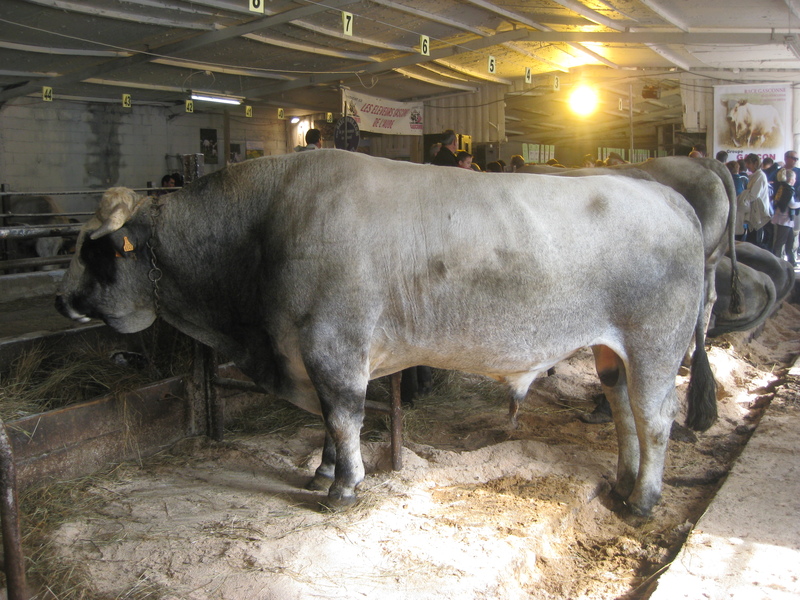 Dozens of cows were being brought down to their lowland home from their summer pasture, and a score of cowherds and hangers on accompanied them on their long walk from Comus on the Plateau de Sault, to Mirepoix. That’s a 50 km. journey, but they probably didn’t walk it all. They’d have hitched a lift in a cattle transporter for at least part of the way, more than likely. We however, saw the picturesque procession, and it began our day on a suitably bucolic note. Love it. 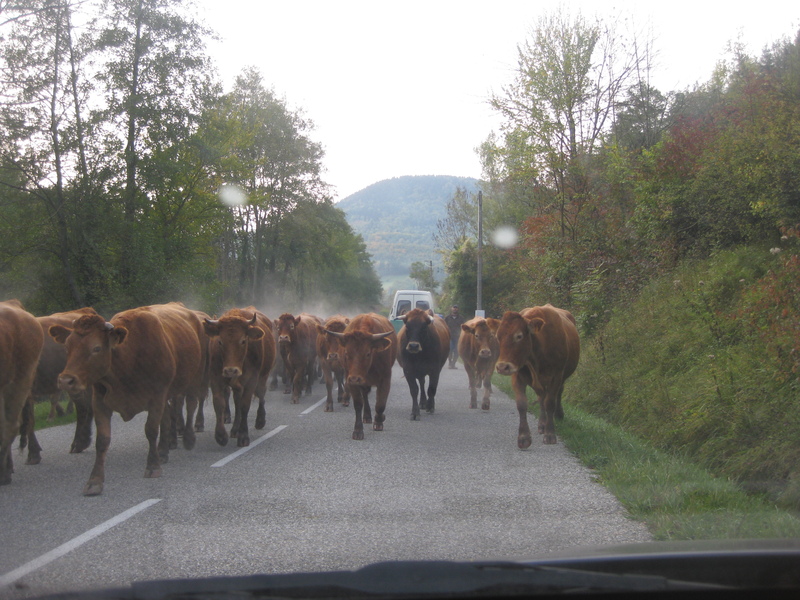 A French cattle drive. Yup. It was fun. One or two cows thought the car’s offside mirror might make tasty eating, but apart from that…..